An infographic released recently by the Wall Street Journal, shows contribution of various devices [ phone, computer and IPAD ] to the overall online viewership of newspaper. 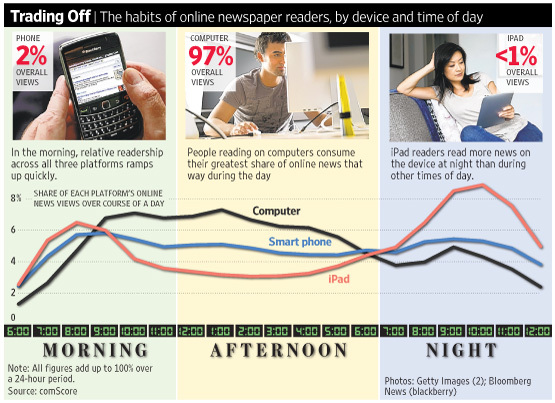 Another interesting information it highlights is the hourly usage trends of these devices by online newspaper readers. The most notable fact from the information is the emergence of iPad as the most used device during late evenings and night.